California progressive rock trio Points North's debut album, Road Less Traveled, was released March 13th on Magna Carta Records. 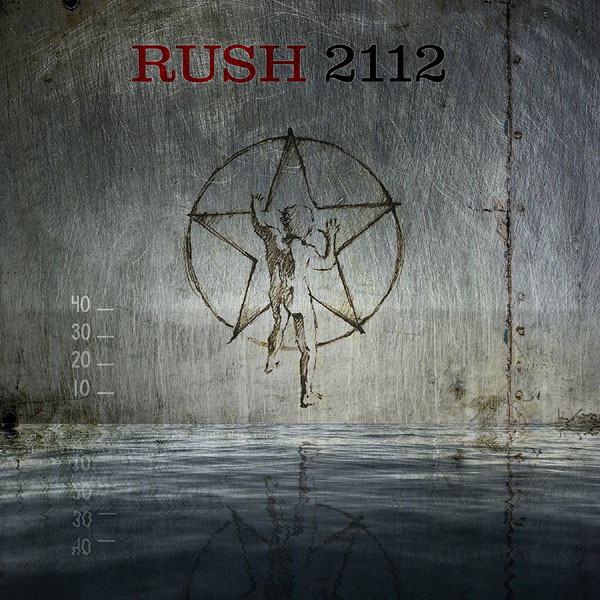 The all instrumental album includes the track "Grace Under Pressure", which is a tribute to Rush. 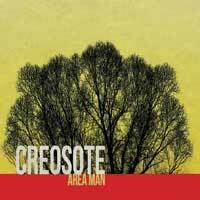 Creosote's Area Man, the debut solo album by Gord Smith, who also happens to be the bass player for Jason Plumb's backup band, The Willing, hits store shelves March 27th. 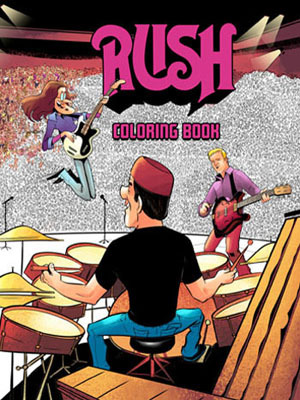 One of the tracks on the album is a cover of Rush's "Mystic Rhythms". Thanks to RushFanForever for the headsup! "Longoria's most prized possessions are his dogs and his 2008 AL championship ring, but he has another great piece of memorabilia: a drumhead signed by members of the rock group Rush. Longoria started playing the drums in 2009, when teammate Gregg Zaun had a set at Tropicana Field. Our partners over at Axeheaven.com have just revamped their line of officially licensed miniature Fender guitars, including a perfect reproduction of Geddy Lee's 1972 Jazz Bass. These guitars are of the highest quality, and are perfect for the home and office, and are in a word, awesome. Axe Heaven offers free domestic shipping for Power Windows website users (use coupon code FS2012); international orders over $75 can enjoy a 10% overall discount on their order with coupon code "TEN2010". Besides the Fender collection, Axe Heaven also offers reproductions of Alex Lifeson's Gibson double-neck and ES-355, as well as Neil Peart's Snakes & Arrows drumkit. For more info visit our Rush Miniatures page, or Axeheaven.com. 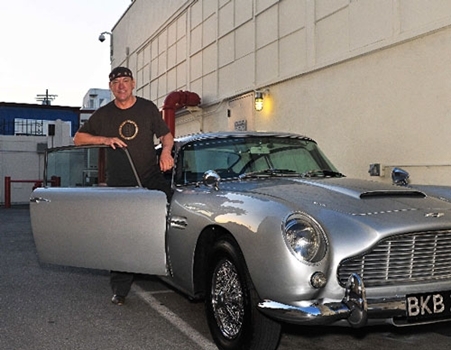 "Small Beginnings: Models fueled Rush drummer's passion for cars"
Hagerty.com has posted an interview with Neil Peart where he discusses his long time love of collecting cars, beginning as a child collecting models, continuing when touring with Rush building models, and to this day, collecting dream cars including a 1964 Aston Martin DB5 (better known as James Bond's car). - Thanks to Ed at RushIsABand for the headsup! Since 1974, Neil Peart has been the drummer and lyricist for the legendary Canadian rock band Rush. 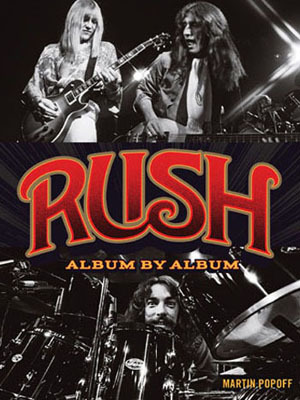 Rush holds an enviable position right behind the Beatles and the Rolling Stones for the number of most consecutive gold or platinum studio albums by a rock band. 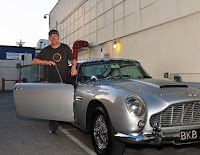 Not too shabby, and neither is his collection of cars, which includes a 2001 BMW Z8, 1964 Aston Martin DB5, 2010 Aston martin DBS, and a recently acquired 1963 Corvette Spilt-Window coupe, which happens to be one of his childhood dream cars. March 23rd UPDATE: Vertical Horizon has posted this video update of Neil recording his drum parts this past Monday the 16th. - Thanks to Ed at RushIsABand for the heasdsup! 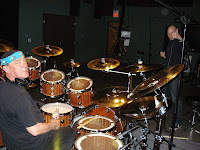 March 21st UPDATE: Today Sabian Cymbals posted photos to their Facebook page of Neil Peart recording tracks with Matt Scannell on Friday March 16th.- Thanks to Mark Rosenthal for the headsup! "Metal Evolution is VH1 Classic's top-rated 2012 series to date. The three-disc set, featuring all 11 episodes of the show hosted by noted metal aficionado, anthropologist and filmmaker Sam Dunn, crisscrosses the globe to bring viewers along on an intense journey through the genre's musical history, spanning more than four decades. Special features include an informative interview with Dunn from VH1 Classic's 'That Metal Show. '..Dunn and his partner, filmmaker Scot McFayden, based 'Metal Evolution' on the groundbreaking and much-debated 26 sub-genre 'Heavy Metal Family Tree' that details the music's fascinating and complex lineage. Using this genealogical chart as a road map, each episode unleashes the very essence of metal - beginning with Pre-Metal, traveling through Early Metal, New Wave, Glam, Thrash, Grunge, Nu Metal, Shock Rock and Power Metal and arriving at the Progressive Rock of today as the explosive series finale. "- Noisecreep.com, March 22, 2012 - Thanks to RushFanForever for the headsup! Tonight was the season finale of the FX animated series, Archer. 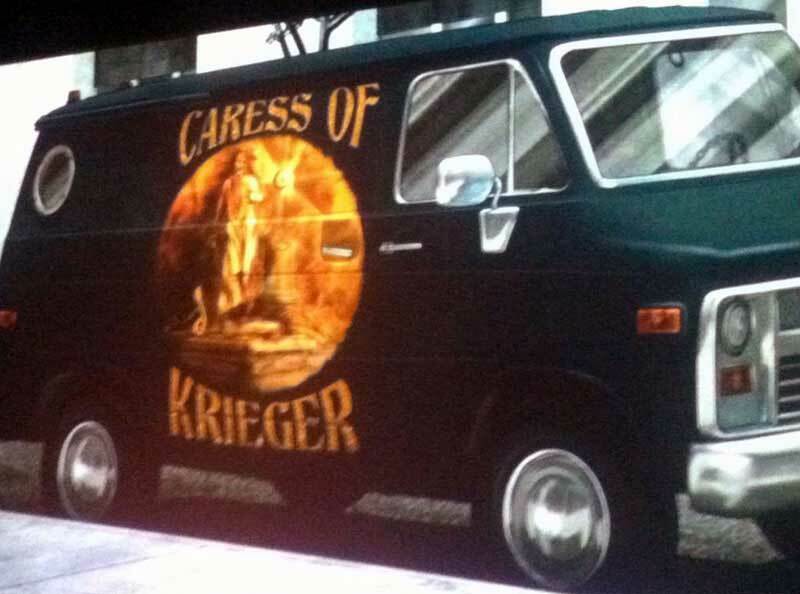 During the episode "Space Race: Part 2", Dr. Krieger's van was once again painted with a Rush mural; this time it was "Caress of Krieger". - Thanks to Benny Prince for the headsup! This was the fourth reference of Archer in the last 12 months. 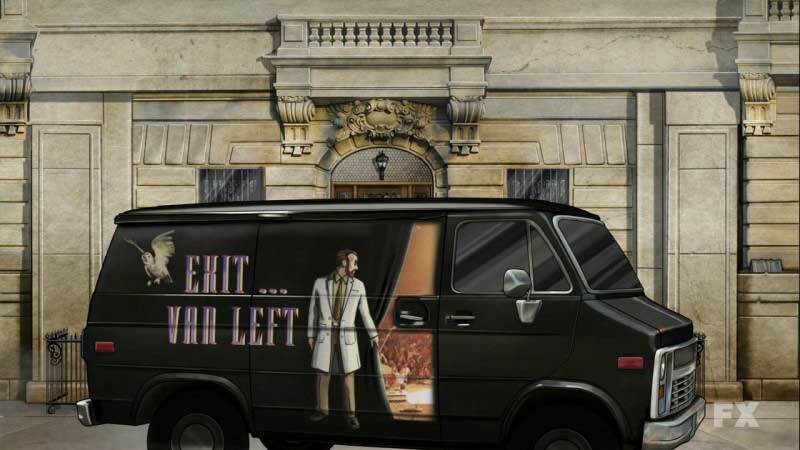 Last April, Dr. Krieger's van was painted with an "Exit Stage Left" mural. Next, during this year's season premier in January, Dr. Krieger had a new van sporting a mural featuring a recreation of the Hemispheres cover, with the words "Krieger Vanispheres" as the headline. A finally, just two weeks ago, we learned Krieger is a drummer trying to master "Y-Y-Zed". 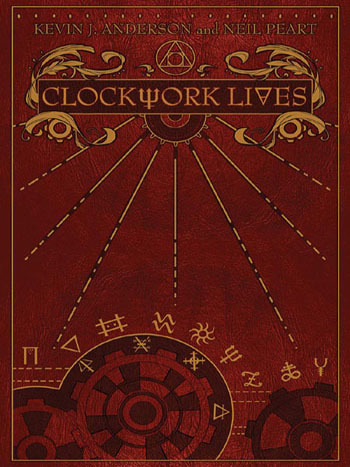 Rush's long awaited 19th studio album (20th if you count Feedback), Clockwork Angels is now available for preorder here. Support Power Windows, preorder your copy now! Thanks in advance for your help! Help A Fellow Rush Fan & Cancer Survivor Help Others Beat Cancer! Samantha Dyar experienced something that most RUSH fans could only dream about. She was 16 yrs old and on July 20, 2008 she got to spend a day behind the scenes at a RUSH concert including hanging out backstage with Geddy, Alex and Neil. She also was called to the stage and had a song dedicated to her by the band. Click here to see photos of that day. The only downside, she was there courtesy of the Make-A-Wish Foundation because she had cancer. Sam is a survivor, and is using her success story to fund-raise for Children's Miracle Network Hospital - Children's Healthcare of Atlanta. Originally, Sam's goal was $250, but she has already raised over $4,000! We're helping get the word out - if you would like to donate to her cause, please do so here. To help track of were the donations are coming from, add "Compliments of a fellow RUSH fan from Power Windows!". Thanks in advance, and also thanks to all those that have already donated! Neil Peart will one of the special guests at this year's "Drummer's Reality Camp" taking place June 27th-30th in Los Angeles. Sponsored by Drum Channel, Guitar Center, and LA Music Academy College of Music, the camp gives aspiring drummers a change to hang out and learn from the greats. Neil is slated to partake in a special roundtable discussion on the third day of the camp (Friday). For complete info and pricing visit LAMusicAcademy.edu. - Thanks to Andy Olson for the headsup! Yesterday Rush announced on Facebook that they have continued their partnership with Jammit with the release of "2112", "Limelight", "YYZ" and "Tom Sawyer" on Jammit for Mac (with the note "coming soon for Windows"). 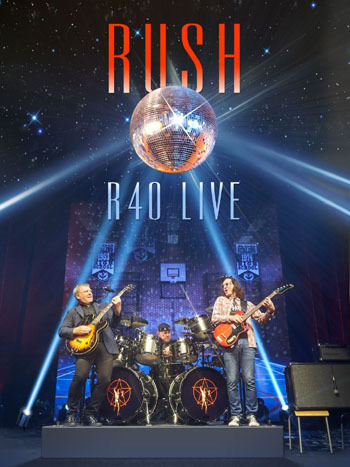 Jammit gives you access to the original Rush multi-track masters, with instrument-specific versions available for drums, bass, guitar and vocals, with the precise notation and tablature. 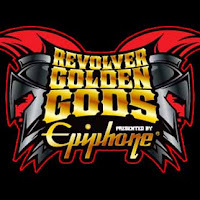 "New honorees, presenters, performers and special guests have been announced for the fourth annual Revolver Golden Gods, presented by Epiphone, America's only hard-rock and heavy-metal award show. 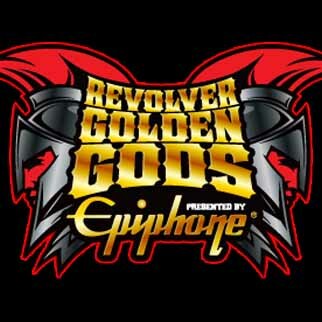 The event will take place Wednesday, April 11, at Club Nokia in Downtown Los Angeles and is almost sold out. Fans without tickets can still watch the show though, as it will be broadcast live in its entirety on XBOX LIVE, as well as on the XBOX and Revolver Facebook pages. The award show live broadcast is the first ever of its kind and kicks off globally at 6 p.m. PDT/9 p.m. EDT. 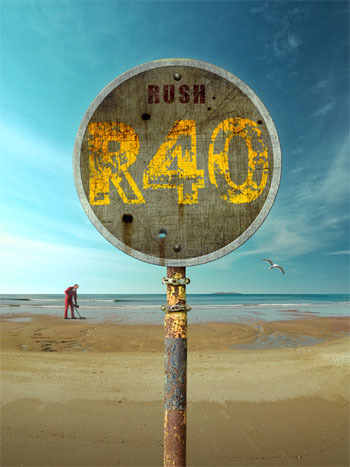 Rush Makes Billboard's "Top 40 Money Makers 2012"
The Canadian prog-rock power trio remains a mighty draw on the road, thanks to the band's deep catalog of anthems like "Tom Sawyer," "Closer to the Heart" and "The Spirit of Radio," and the chops of bassist/vocalist Geddy Lee, guitarist Alex Lifeson and drummer Neil Peart. The band's Time Machine tour continued through the first half of 2011, grossing $14.1 million in the United States and netting $4.8 million. Rush also made noise at retail, generating U.S. album sales of 431,000 units. Adding to the revenue mix: a concert recording titled "Time Machine: Live in Cleveland 2011" debuted and peaked at No. 54 on the Billboard 200 in November, with the live show kicking off a new deal with Roadrunner Records. - Billboard.biz, March 9, 2012 - Thanks to squintyt4e for the headsup! Rush On "Archer", yet again! Rush was referenced yet again on FX's Archer. 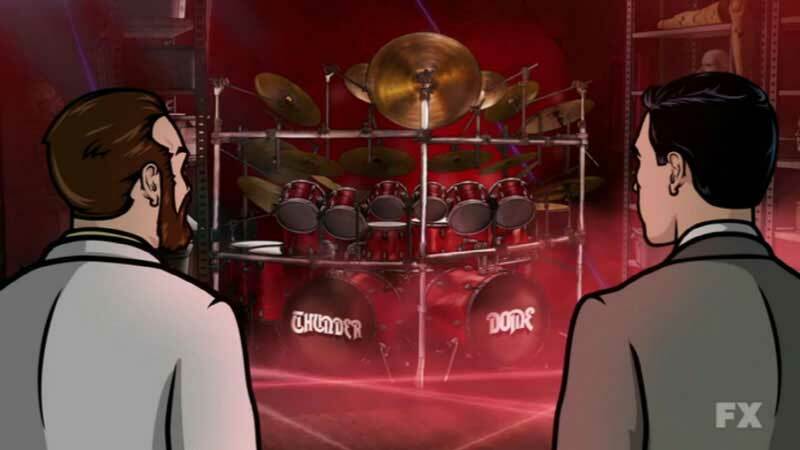 During yesterday's episode "Skin Game", in the opening scene Krieger brings Archer to his lab which holds a large Neil Peart-esque drumkit, replete with double bass drums with "Thunder" and "Dome" written in the font from the debut album. Archer says "Wow, amazing, you can play 'YYZ'", to which Krieger replies "First of all, it's YY-zed. And second of all, no I can't get it, it's impossible." Later, in the next scene (after the opening credits), in regards to creating an android of Katya, Krieger says "How dare you fail to recognize my greatest accomplishment to date? ", and Pam replies "What, you finally nailed YYZ?" Krieger shouts "It's Zed, and...no, Neil Peart (Pert) stands alone..." - Thanks to Benny Prince for the headsup! This is the third Rush reference on Archer. Last April, Dr. Krieger's van was painted with an "Exit Stage Left" mural. 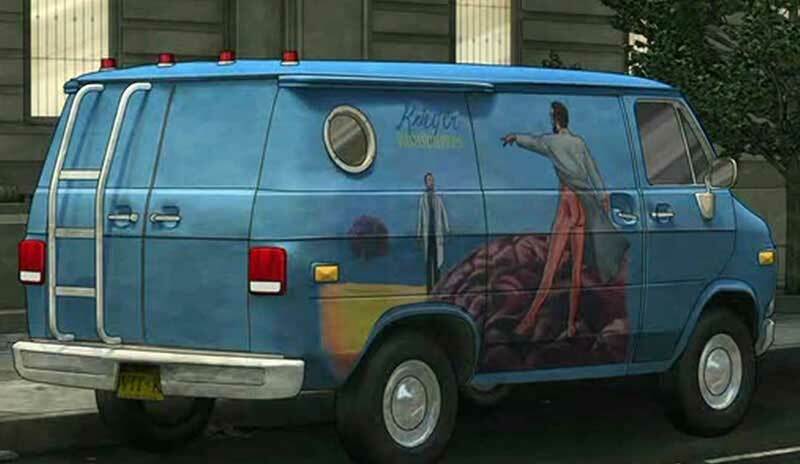 And during this year's season premier in January, Dr. Krieger had a new van sporting a mural featuring a recreation of the Hemispheres cover, with the words "Krieger Vanispheres" as the headline. Neil Peart Featured In Ginger Baker Documentary "Beware of Mr. Baker"
UPDATE: A second preview of the Ginger Baker documentary has been posted at HollywoodReporter.com, and this one includes a couple of shots of Neil Peart discussing Ginger and Cream. Check it out here. - Thanks to RushFanForever for the headsup! Neil Peart is one of a host of musicians featured in the new Ginger Baker Documentary Beware of Mr. Baker. Rollingstone.com has posted the first trailer of the film (click here to view), and although Neil is not featured in the clip, he is listed as one of the featured artists. Sonic Reality Update: Additional Neil Peart Library in the Works? There have been two Sonic Reality libraries featuring the sampled drums of Neil Peart: "Neil Peart Drums Vol. 1: The Kit" and "Vol. 2 The Grooves". On Sunday the Sonic Reality Progressive Rock Project updated their Facebook page with the following. "Right now I'm working on an extra Neil Peart kit from the original session that was never released. This will be part of a stereo kit library for Reason, SampleTank, Battery and some other formats we're going to be supporting. Sounds great! Some other cool unreleased things like a Queen style kick and snare from the British rock sessions. I've been going through the sessions to find things we missed the first time around." 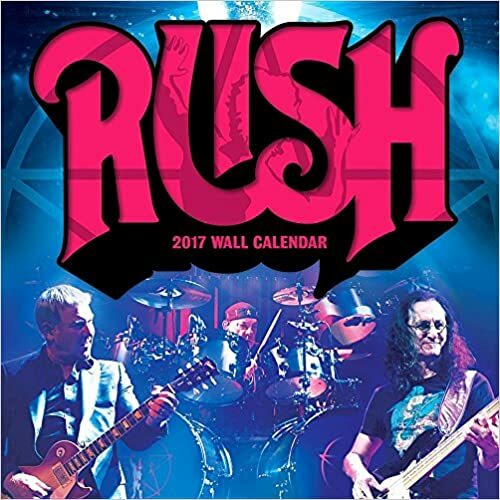 Neil Peart is one of the featured Artist Calendars offered as a print resolution download from DW Drums. 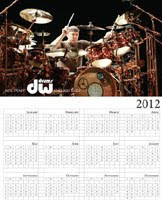 For the full collection of Artist Calendars visit DWDrums.com. - Thanks to Mark Rosenthal for the headsup! - Thanks to Ed Dobbins for the headsup! Geddy Lee referenced on "Switched At Birth"
Geddy Lee was referenced during last week's episode of ABC Family's Switched At Birth (Tuesdays at 8/7c). Late in the episode "Write A Lonely Soldier", Daphne (who is deaf) is making out in a car with a boy named Wilke when she stops him and says she wants to communicate with him in sign language. Wilke responds "Alright, what's the sign for Wilke's the greatest bass player since Geddy Lee?" The episode is online at ABC Family's website. - Thanks to Giraldo Perez for the headsup! "Can you imagine a world where, instead of fossil fuels, modern machinery runs on the power of steam and everyone's favourite band is Rush? If so, you've glimpsed into the alternate reality that unfolds in the forthcoming steampunk novel from sci-fi author Kevin J. Anderson. 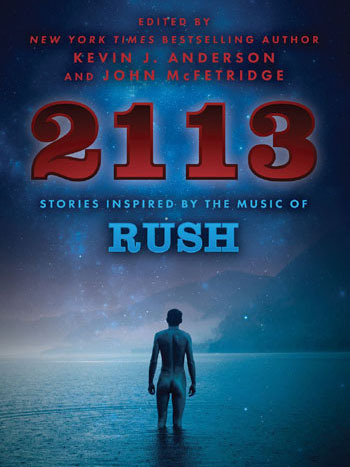 The best-selling scribe of over 100 genre books, including titles for the 'Star Wars,' 'Dune,' and 'X-Files' franchises, is writing a companion novel to 'Clockwork Angels,' the upcoming studio album from Canadian prog-rock giants Rush. "'I take my inspiration from many sources, but music has always been a key to my literary imagination, more than just a soundtrack but a trigger for images, scenes, and strange worlds,' Anderson tells Spinner. 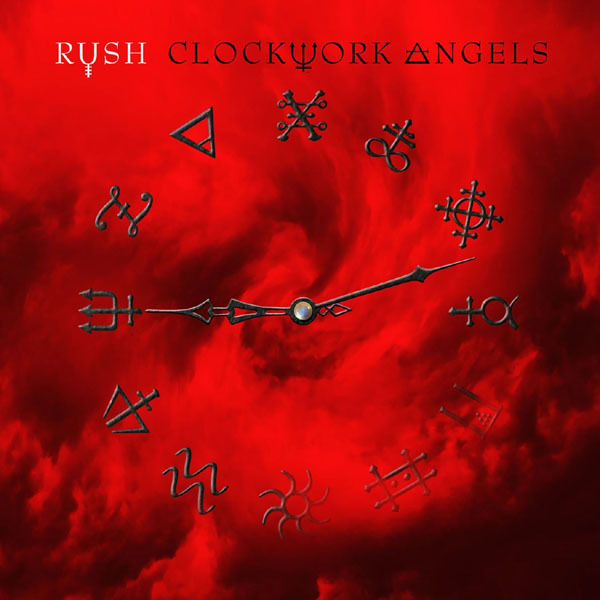 In fact, he dedicated his first novel, 'Resurrection, Inc,' to the Rush album 'Grace Under Pressure,' a nod that spawned a friendship with Rush drummer and lyricist Neil Peart which eventually led to the 'Clockwork Angels' collaboration. Spinner.com, March 2, 2012 (click here for the full story) - Thanks to RushFanForever for the headsup! "Subdivisions", performed by Anita Athavale on In The Noise, January 11, 2007. This version has a soft rock/adult contemporary vibe; just a female vocal with piano accompaniment. Hear it here (begins at the 0:30 mark). 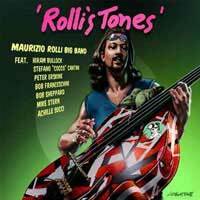 "Losing It", performed by the Maurizio Rolli Big Band on Rolli's Tones, August 4, 2009. An import from Italy, this is an extremely well done jazz band performance which is fairly true to the original arrangement. A saxophone solo takes the place of Ben Mink's violin. Hear it here. 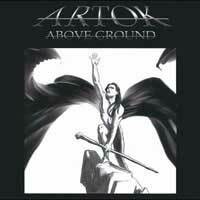 "Subdivisions", performed by Artok on Above Ground, December 28, 2010. From Canada, this version pointedly does not include keyboards; that part is faithfully reproduced on guitar. Hear it here. "Bravado", performed by Gregorian on Masters Of Chant Chapter VIII, September 30, 2011. 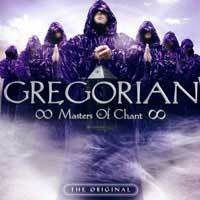 Another import, Gregorian is a German band headed by Frank Peterson that performs Gregorian chant-inspired versions of modern pop and rock songs. Again, a very interesting version. Hear it here. - Thanks to Joe Pesch, RushFanForever and Nik Ramone for the headsup! 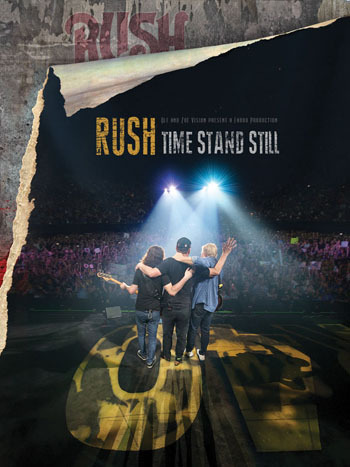 Did Rush suffer from the Sophomore Slump? "Easy call. 'Rush' is like Led Zeppelin and Cream jamming and eating back bacon together. It's fully capable and crammed with energy. But it's derivative. 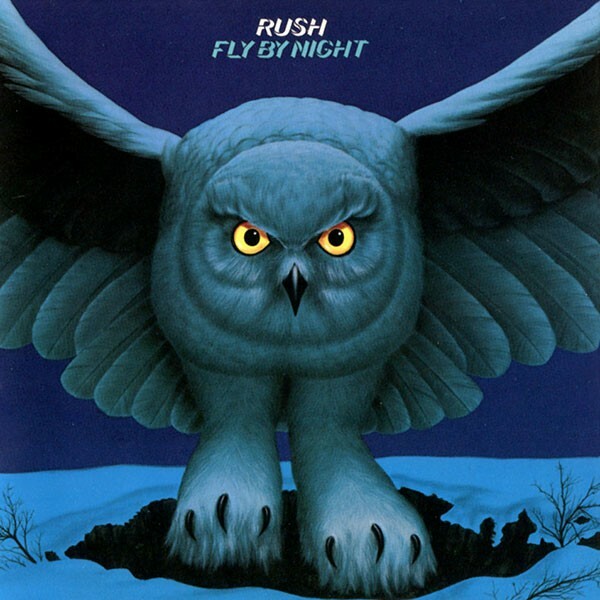 'Fly by Night,' however, adds Neil Peart to the mix, widens the musical scope, and offers monumental songwriting efforts like 'Anthem' and 'By-Tor and the Snow Dog.' No contest here. 'Fly by Night' wins." - Jeff Wagner, Noisecreep.com, March 1, 2012 - Thanks to RushFanForever for the headsup! UPDATE: The article "Workin' Them Angels" is now available online at Motorcyclistonline.com. The April 2012 issue of Motorcyclist Magazine contains the feature article "Workin' Them Angles" written by executive editor Brian Catterson. Brian, a long-time Rush fan who has written about his rides with Peart in the past (see Cycle World, February 2003), talks about how he had always hope to meet Neil, how he eventually did - and also discusses riding with Neil during the final leg of the Time Machine Tour. 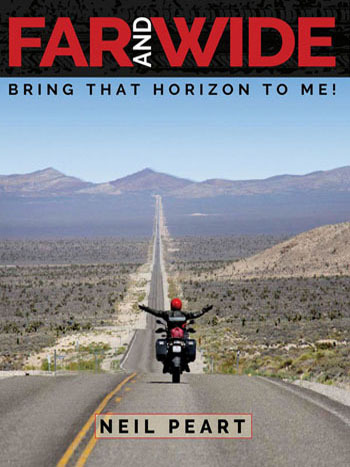 In addition to the main article, there are two sidebars, "The Bike That Changed My Life: 2006 BMW R1100GS" with Neil Peart, and a short final article, "How We Roll". - Thanks to John at Cygnus-X1.net for the headsup! There is a new addition to the Power Windows website, the "Site Updates" page. You'll find it on the Menu under the "News" button. This page has been created to document additions to this website which might not necessary be worthy of sharing on the main "News" page, such as additions to the "Inspirations", "References" or "Downloads" pages, or the occasional historical addition to the "Tour" page. More notably, it will document the frequent ongoing updates to the "Transcript Archive". To be notified of updates, you can also subscribe to my Twitter feed, and/or "Like" us on Facebook.